Looking for tattoo/piercing studios and artists? We have spent the last ten months compiling the ultimate directory of Tattoo/Piercing Studios and artists throughout the UK. We've organised them by region and added the facility for users of the site to review and recommend their favourite tattoo studio. NEW 1000 Cross Tattoo Pictures Added. NEW 1000 Word/Writing Tattoo Pictures Added. NEW 230 UV/Black Light Tattoo Pictures Added. FREE trial for new tattoo studios for 3 months. We are offering a free trial to new tattoo studios for their first 3 months. so if you sign up now yu will get over 3 months free advertising. click here to sign up. We have made a mobile version of our site try it by visiting this page on a mobile device or click the link on the top left menu. Get Your Studio Listed Today! 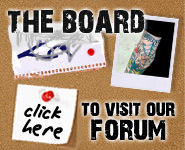 If you own a tattoo studio and your not listed on our site please view our testimonials page or click here to sign up. If you want to post a review for a studio listed on our web site just click on the Read Reviews page for the chosen studio, then follow the instructions and fill in the form!